From tracking your steps to monitoring your active and resting heart rates, the Scosche Rhythm24 HR can do it all. Adjustable band to fit on any part of your arm. Wrap the Wahoo TICKR Heart Rate Monitor around your chest, and you’ll be able to monitor your heart rate and find out how many calories you burned. Measures heart rate and calorie burn. Can use Bluetooth and ANT+. Can link to your Apple Watch. 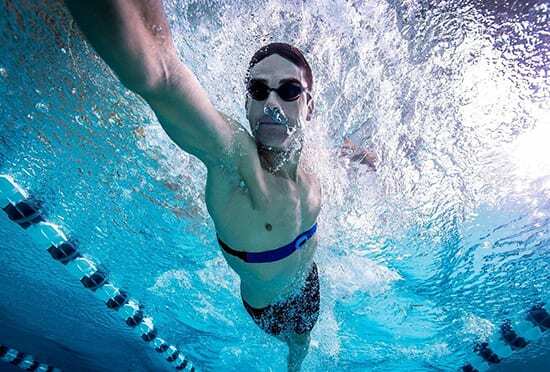 If you’re a competitive swimmer or just want to know how well you’re doing in the pool, the Garmin HRM-Swim will be able to track your heart rate while you perfect your stroke. Can be used while swimming, snorkeling or diving in the water. Looking for a heart monitor that doesn’t look like your standard heart monitor? Then give the Polar Vantage M a try. Can track training diary and progress reports. Like to track your fitness progress and listen to music at the same time? 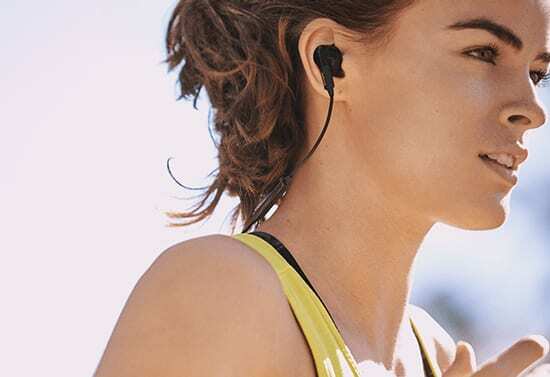 Give Jabra Sport Pulse a try. The fitness industry has been growing like crazy in the last few years. The health and fitness industry in the U.S. alone is worth $30 billion and is growing at least three to four percent every year, according to the International Health, Racquet & Sportsclub Association. And sure, more and more people are getting into healthy foods and different workouts. However, people are also are hitting the gym more due to the rise of wearables. Wearables is short for wearable technology. With the rise of products like the Apple Watch or the ever-growing brand Fitbit, people are becoming more interested in how their bodies are actually doing. Otherwise, it would be a little weird to be rocking a Fitbit Inspire and only use it to check the time, right? Anyway, wearables like fitness trackers and smartwatches have made more people aware of how important their health is. And as these devices started to get “smarter,” our data-hungry society has been eating it up ever since. In this post, we’ll be looking at something a bit more specific in the wearables market — heart rate monitors. When people think of heart rate monitors, they usually think of something like the device that attaches a variety of pads around your chest area. 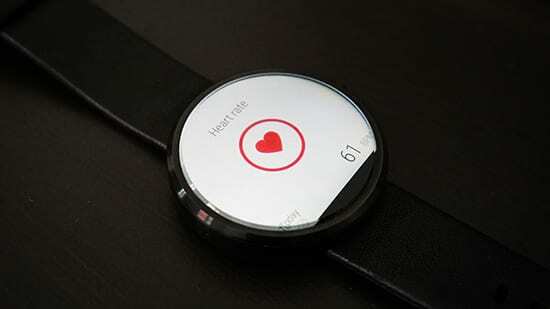 However with technological advancements, there now wearables that you can use as a portable heart monitor. And you won’t need to stick anything onto your chest — unless you want to. 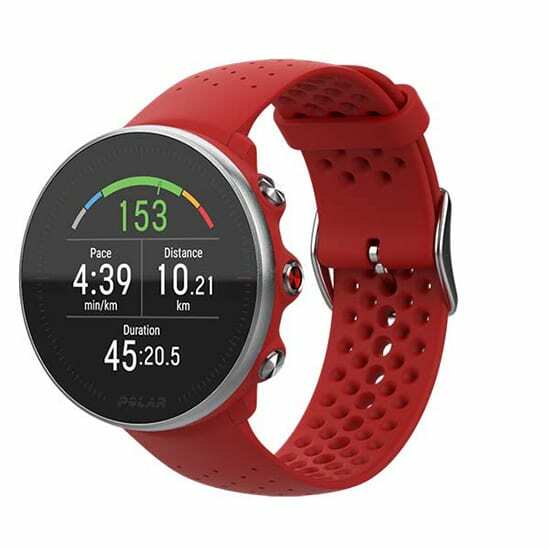 Find out more about the top five heart rate monitors of 2019 below, and then you can pick the best heart rate monitor for you. If you’re looking for a solid heart rate monitor, the Scosche Rhythm24 HR is the right one for you. Not only does it can run consistently for 24 hour consecutive hours, but it can also withstand your seat as well as go into the poll with you. There are five changeable training modes — running, cycling, swimming, heart-rate only and heart-rate variability — as well as a feature called multi-modes that include — duathlon and triathlon. 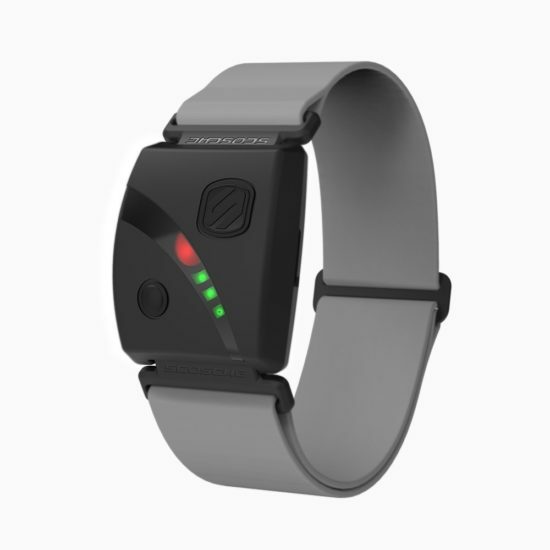 The Scosche Rhythm24 HR also aims to be a comfortable heart rate monitor, allowing you to move the stretchable band to different parts of your arm. You also don’t have to bring your mobile device because this monitor can its own set of memory, which will let you upload that data onto your app later on. And despite it having a long battery life, it will also alert you when it needs to be recharged. Can wear on different parts of your arm for more better heart rate readings. Isn’t as accurate as a chest heart rate monitor. Android app isn’t the best. The Wahoo Fitness Tickr x Heart Rate Monitor is set on giving you the most accurate date regarding your heart rate, calories burned and how you’ve progressed fitness-wise. However, it isn’t necessarily for everyone. Why? Well, you’ll need to be cool with having this device around your chest. And for some, it might be the most comfortable. However, if you’re only in the market for one that wraps around your chest, then you should consider a few things about this particular wearable. There are a selection of workout settings that you can choose from to not only get you moving but also make sure that you achieve your fitness goals. It also links to a number of third party apps including Nike+ Running, Runkeeper, Strava and MapMyFitness as well as integrates with your Apple Watch. Can integrate with a number of third-party fitness apps. Tracks heart rate and calories burned. Battery doesn’t always last for too long. 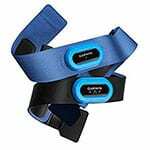 It’s been said that wrist-based heart rate monitors are not as reliable as chest strap ones. While that may be true for some workouts, cycling, which keeps arms at a limited number of positions, should be able to give better data. So if that’s the case, then the Polar Vantage M is a great model for any cyclist. Aside from weighing 1.7 ounces, making it super lightweight, the Polar Vantage M has special Polar Precision Prime. This makes it easy for the device to track one’s heart rate regardless of what activity they’re doing. It helps you set and achieve different fitness goals. And if you like having a statement piece on, then the large digital face will be a great addition to your overall look. It’s lightweight and only weighs 1.7 ounces. Not only does it have a nice large round face, you can also change the color of the rubber wristband. There are a number of ways that you can track and gather data from your workouts. While it may easily fit on a male’s wrist, the overall design may too big for a female’s. Screen needs to be brighter. While it gathers so much data, some users have complained that you can’t easily compare and contrast the data from your different workouts easily. While heart rate monitors are great for tracking your fitness goals and overall heart health, they’re not necessarily the best when it comes to specific sports — namely ones that deal with the water. Enter the Garmin HRM-Swim. Has a variety of strap extenders. Battery life lasts for 18 months or three hours of swimming a week. Device is pool chemical resistant. Solely meant for swimming. So you can’t use it while running. Doesn’t work when you’re scuba diving. Strap material isn’t the most durable. Why put on a fitness tracker, heart monitor and a pair of headphones if you can do just put on one device that takes care of all three? Yes, your heart rate can be measured from your inner ear. Although there still research going on about its accuracy, it is a pretty convenient and simple way to track your fitness data while listening to some great tunes. 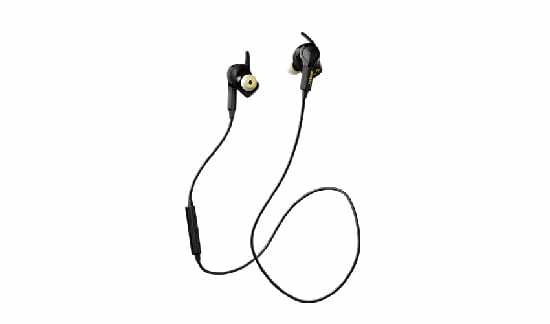 And the best set we’ve found that fits the bill are the Jabra Sport Pulse earbuds. And these stats can be saved on your phone through the brand’s app. Distance tracking isn’t the best. Battery only lasts four to five hours. There are many types of heart rate monitors, and you can decide based on a number of factors. First, it would depend on what kind of workout you’re doing. Some wearables are also more comfortable than others depending on what kind of device you are fine wearing around most of the time. Luckily for you, there are three main types of heart rate monitors — ones with chest straps, wrist-based monitors and finally headphones. Although it might seem that professional athletes and those in a lab use heart rate monitors with chest straps, they are actually pretty popular. However, they are predominantly used by those who are heavily into working out or training for a particular race. Because of where they are fitted onto the body, they are said to give the most accurate heart rate reading. However, for many people, these monitors aren’t the most comfortable to wear during a long run. 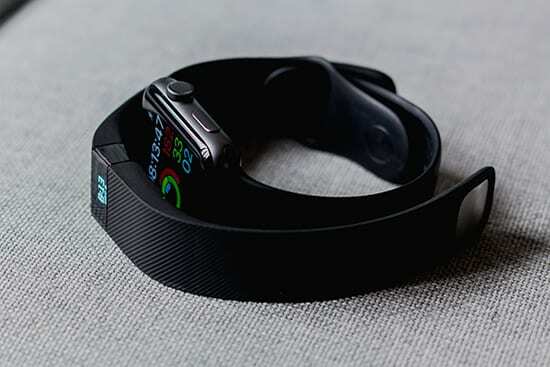 With the help of brands like Fitbit, wrist-based heart rate monitors have been becoming one of the more common versions of the device. For anyone who wears watches or any kind of wrist accessory will hardly even notice that this wearable is on them. With all the brands that are out there these days, you can also customize the strap for your lifestyle and chose ones that are either rubber or magnetic. Headphones are the latest wearables that can measure your heart rate. Although there is still research on whether or not it’s more accurate than the other heart rate monitors, it does have its advantages. Being able to listen to music and tracking your heart rate simultaneously is probably one of the biggest benefits of this device. Although heart rate monitors seem pretty self-explanatory, there are a lot of features to be aware of when selecting one. The first thing you need to consider when looking for a heart rate monitor is if it fits the workout that you’re doing. While many wrist-based ones might be good for all kinds of sports, Take for instance the Garmin HRM-Swim and the Wahoo-Tickr above. While they are both chest strap-based, one is only meant for the pool while the other does better when you’re running. When looking at heart rate monitors, you should really consider how well it does at actually tracking one’s heart rate. So it’s good to look at how it rates on different websites. Research how other consumers have used it and what their success had been with the wearable. Even though there are specific wearables for particular activities, it’s always good to remember that you need to be comfortable while you’re wearing it. If it feels tight or restricts how you move, then you won’t be able to work out properly and defeats the whole purpose of the device to begin with. When it comes to connectivity, you have two options, there’s ANT+ and then there’s Bluetooth. 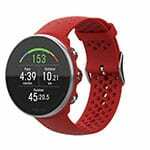 Knowing which one pairs the best with your devices and also which one you prefer is important in choosing the right heart rate monitor for your workouts. ANT+: This type of technology allows devices of different brands to actually become compatible and work together. That way you don’t feel obligated to buy another device for the heart rate monitor to work correctly. Bluetooth: Bluetooth is much more common and is usually available on computers, tablets and smartphones. If your heart rate monitor has this capability, you can easily connect to a device without worrying about having the right signal. Why Use a Heart Monitor for Workouts? Heart rate monitors are great to help you see how you’re doing during your workouts. It will help you find out your resting heart rate when you’ve hit the optimum level and also see how healthy your heart is becoming. With all these pieces of information, you’ll be able to get a sense of how exercise has been helping you get healthier. As heart rate monitors and fitness trackers are evolving, the data these wearables collect can tell you how to improve on your workouts and sometimes even suggest what kinds of exercises you should focus on. Some monitors also even offer different workout plans and regimens that you can follow to keep yourself on the right healthy track. Throughout this piece, we talked about how heart rate monitors help improve your health and workouts. But we also need to touch on the fact that they are good at making sure that you’re not overdoing it at the gym. While many of these devices won’t sound the alarm if you are going too hard at the gym, they will at least provide you with data that will show that you might need to ease off or have a rest day. And until companies build that factor into these heart rate monitors, then you will need to actively check that you’re working up a sweat without hurting yourself.